Kim O’Hare Bonacorsa, a New Jersey native, is an avid orchestral and chamber musician based in New York City. 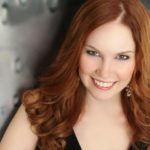 She plays for Wicked on Broadway, performs with the Harrisburg Symphony and Lancaster Symphony, among others, and has worked as a professional consultant for the television series Mozart in the Jungle. She recently recorded flute and piccolo for the NBC television broadcast of A Very Wicked Halloween to celebrate the Broadway production’s 15th year anniversary. Internationally, she was chosen to perform as a soloist in Nice, France, at the Nice Academy of Music, and has been the Assistant Orchestra Manager for the AIMS Festival Orchestra for the past 3 years. In 2016, Kim combined music and social activism and performed a solo recital in an effort to bring attention to a variety of issues in our current political climate. All proceeds benefited the ACLU, and she is currently planning a politically motivated recital for Spring 2019. Kim earned her Master of Music degree from New York University and her Bachelor of Music degree from The College of New Jersey. She directs a flute ensemble and maintains a private teaching studio in New York City.